Don’t Replace Your Fleet of COWs and WOWs: Retrofit! Are you a medical professional struggling with the stress of unreliable COWs and WOWs? Do you spend a lot of your shift seeking out fully charged equipment? Do you wish you had more time to truly engage with your patient care? While it might seem tempting to suggest your hospital purchases an entirely new fleet of up-to-date technology, a retrofit is a better option. Your assets can be upgraded seamlessly, meaning no downtime and absolutely no disruption to patient care. Providing an exceptional return on investment, what could be better? Retrofitting means taking your existing COWS and WOWs and upgrading them piece-by-piece with state-of-the-art technology, meaning you can make the most of your current investment while still getting the same advantages of an entirely new fleet. This represents absolute value for money for any medical establishment with an eye on its bottom line. It also offers a superior experience for both the caregiver as well as the patient who will not be disrupted throughout the seamless transition to innovative advancements, such as a reliable cart power system, intelligent point of care carts, and long-life batteries with extensive swap options. Nurses report the unreliability of cart batteries is an unnecessary added stress to their workday, which means they spend less time interacting with patients. This lack of adequately charged carts and the fact that nurses need to search for them has a flow on effect on patient waiting times. Medical staff simply cannot see patients until they have powered up equipment, which is an issue Flexible Mobile Cart Power Technology (FMCP) has been specifically designed to solve. The FMCP Cart Battery provides a cart that is powered by long-lasting lithium ion and ready to go for multiple hours, meaning it is an excellent fit for any in-demand clinic or hospital that is in a remote location. When you retrofit your COWS and WOWs with an FMCP Cart Battery, you are effectively extending the life of your original investment, but most importantly, you are equipping your staff with tools that enable them to function at their highest professional capacity. 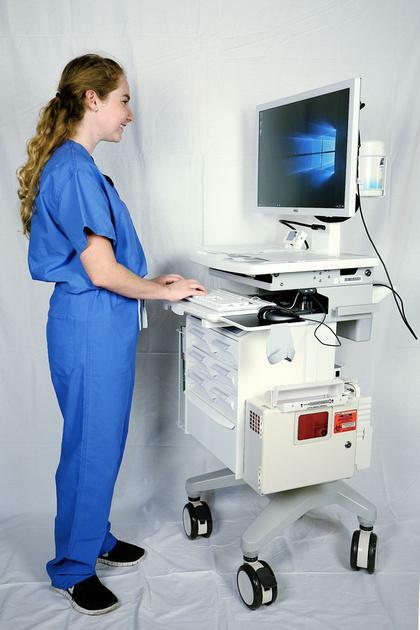 A retrofit integrating our innovative point of care carts provide a premium working experience for all hospital staff. This cart has been designed to combine the convenient FMCP battery, to create a stress-free work environment with easy access to common functions. It includes everything a caregiver could need, such as storage drawers, bar code wands, an easy to see battery status, and printers for labels or wrist tags. This cart has been developed over 20 years, with constructive feedback and about the exact needs and demands of medical professionals working in the industry. With the entire workflow considered in the design, even the most in-demand caregiver will have all the tools at his or her fingertips right when they are needed. It also includes intelligent features such as surfaces which reduce the potential for infectious and contagious diseases to breed, meaning enhanced patient and worker safety; talk to us about our Special Purpose Cart retrofits today. Upgrade your existing fleet with state of the art flexible mobile cart power technology, known as FMCP technology. 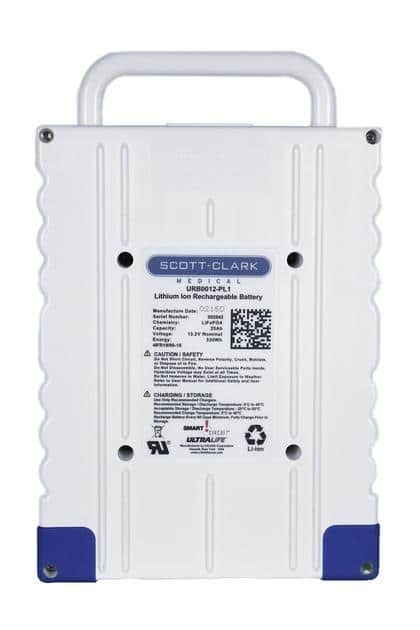 This is the best battery system on the market today because it quickly recharges while also providing staff with the option to swap out charged batteries, a big advantage over out-of-date carts that didn’t offer a range of options. Innovative FMCP technology can run any medical or non-medical equipment that is battery powered, meaning a greater range of flexibility for patient care. Conveniently, it also comes with a five-year warranty, providing you with peace of mind should you require repairs. To improve your employee and patient experience by giving them more streamlined battery swapping options, talk to us about retrofitting with FMCP technology today. A friendly Scott-Clark technician can visit your hospital in person and upgrade your existing COWS and WOWs, making the transition towards superior technology non-intrusive and seamless. 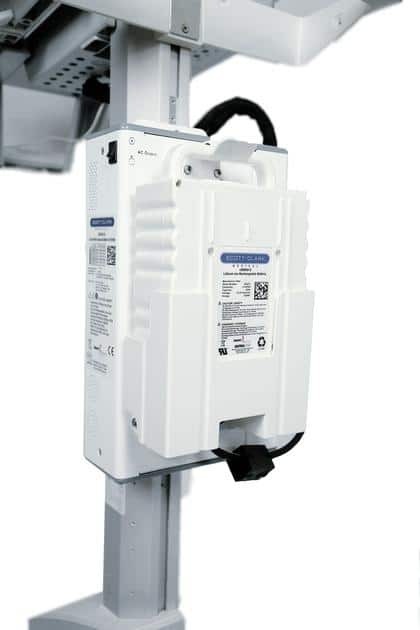 With 20 years of retrofitting experience in hospitals US-wide, contact us today about how we can simultaneously extend the life of your current assets while offering you the superior benefits of today’s best technological advances.